A long time ago a man had a divine message that came to him and a location was revealed where there was beneficial water to human beings. That man then dug a hole in the ground to get to that water and bathed in it. Today that water is still flowing in this onsen. That place has been protected by the same family for generations because of the water’s beneficial properties for the skin. 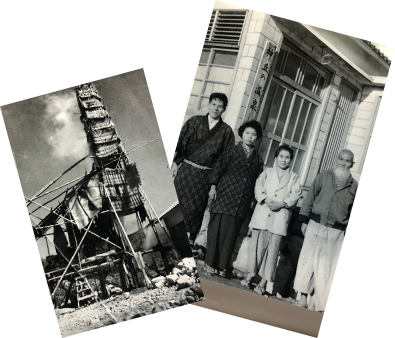 In the late 1950s a divine message had been sent to a man that there were hot spring water that could heal people and from this idea led to "tsuru nuru" hot springs of being dug. 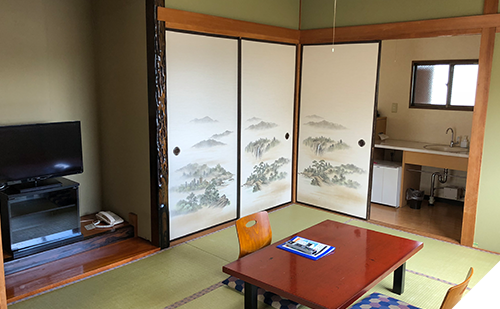 Professor Hatta of Kyushu University repeated clinical tests here and announced that the onsen water is one of a number of Beppu hot springs that was excellent in treating skin problems for automic bomb victims. 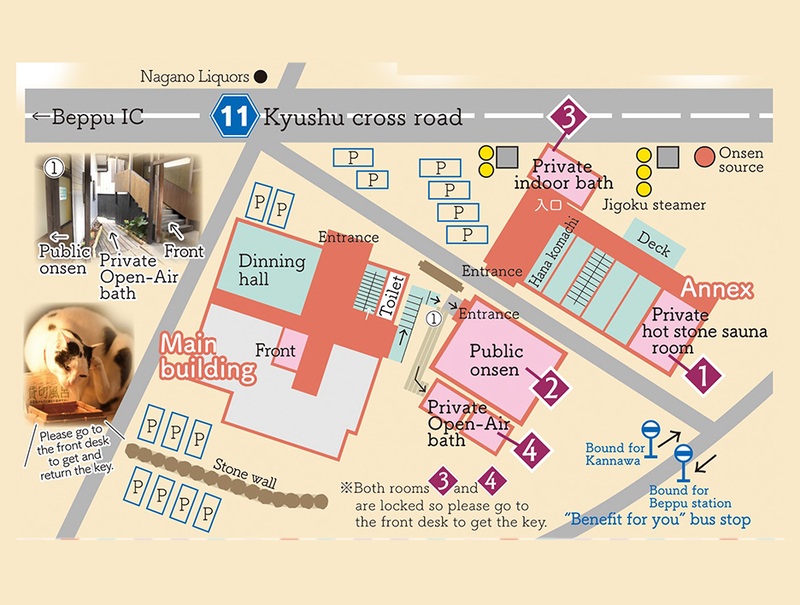 As a result of this announcement, the Beppu Atomic Bomb Center was established as a resort for those suffering from the after-effects of the atomic bombs. 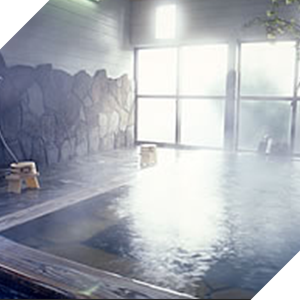 This hot springs contains moisturizers such as silicic acid and water-soluble silica, useful for its anti-aging properties. Among the other mildly acidic spring water found in Beppu, the water quality at Hozanso is of a rare alkaline sulfur spring, making up only 20% of artesian springs. 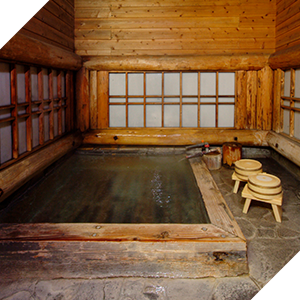 In order for the enjoyment of the purest hot springs, guest outdoor baths have water flowing directly from the source and never circulated, ensuring freshness. 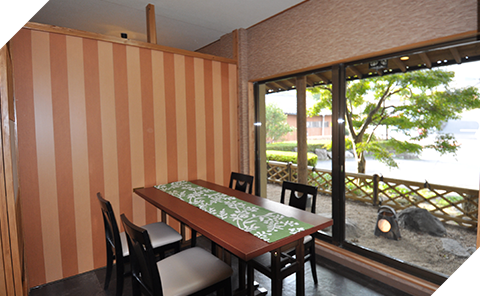 ※Guests must check in by 6:00 PM to eat dinner at this property. Guests who check in after this time may not be served dinner, and no refund will be given. 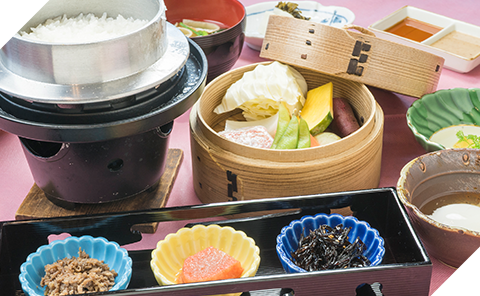 For your breakfast, the 'washoku of Jigoku steam' is prapered to make you full of ennergy for the day. 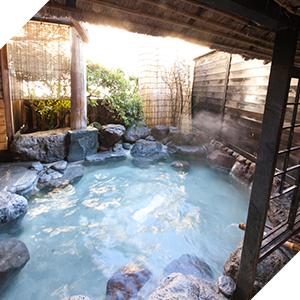 ※The water is very hot so check the temperature of the water before entering the onsen. 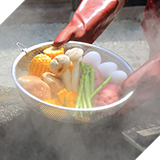 Jigoku mushi is a traditional cooking method that uses steam from the hot spring to steam fresh and lightly salted ingredients such as vegetables or eggs for your enjoyment. 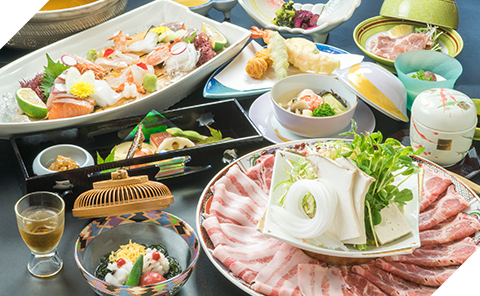 This is a famous cuisine from Beppu, where hot spring steam is plentiful. 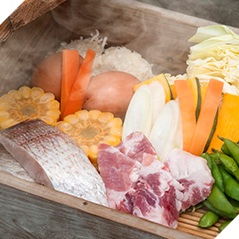 The high-temperature steam cooks faster than boiling and concentrates the flavors of the natural ingredients to make them superbly delicious! 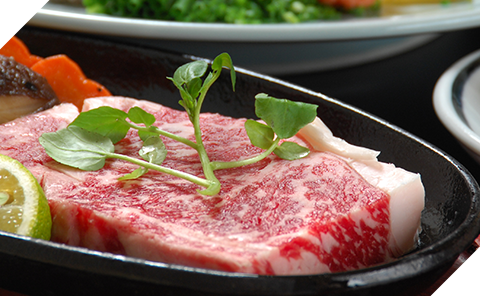 In addition, absolutely no oil is used, cutting down any unnecessary fat, making this cuisine exceptionally healthy. You can bring your own ingredients, providing a safe option for families who have children with allergies. Please bring your favorite foods in a manner that makes them steamable (such as pre-cut ingredients). 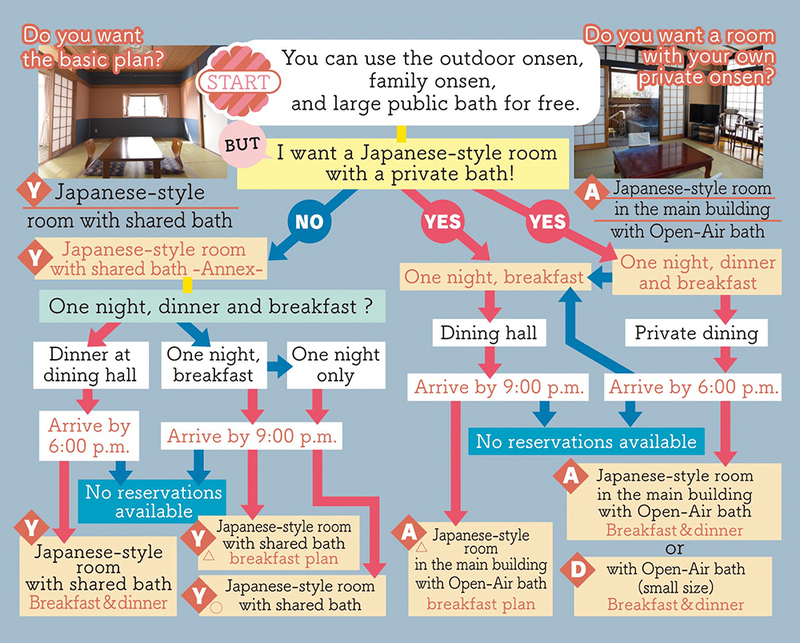 Guests staying overnight can try the [Jigoku Mushi Experience] for free! 3:00 p.m. - 5:00 p.m. & 9:00 a.m. - 10:00 a.m.
◎The jigoku steamer can be used for 20 minutes. ◆A draining basket set can be borrowed for free. ◆Please return the draining basket and gloves to the front desk. Plum & Bamboo Three hours after check-in. 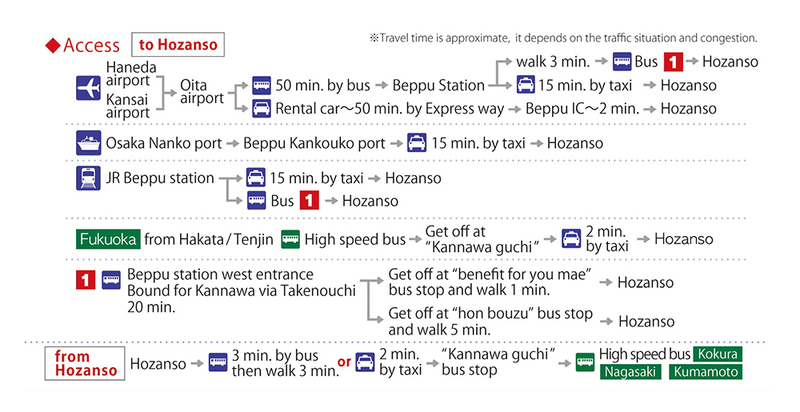 Reservations required by the day before arrival. ※Please take your trash with you. ※Please make reservations by the day before your arrival.